1950s Michael, Hildegard, and Jacob Hennenberg in their Tullamore Road, Cleveland Heights, Ohio, home. 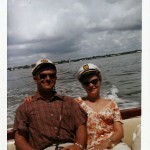 Jacob and Hildegard Hennenberg, vacationing in Florida. 1958 The Hennenbergs Tullamore Road, Cleveland Heights, Ohio, home. 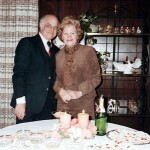 1969 Jacob and Hildegard Hennenberg. 1969 Sept Jacob and Hildegard Hennenberg. 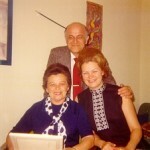 1970s Jacob and Hildegard Hennenberg. 1979 July Jacob and Zita return to OSW. Shviti survived the war in the wall. In 1979 it was a carpet shop. Today it is the Auschwitz Jewish Center.